May’s Arrow Video Releases Are Pretty Sharp Stuff | "DESTROY ALL FANBOYS!" 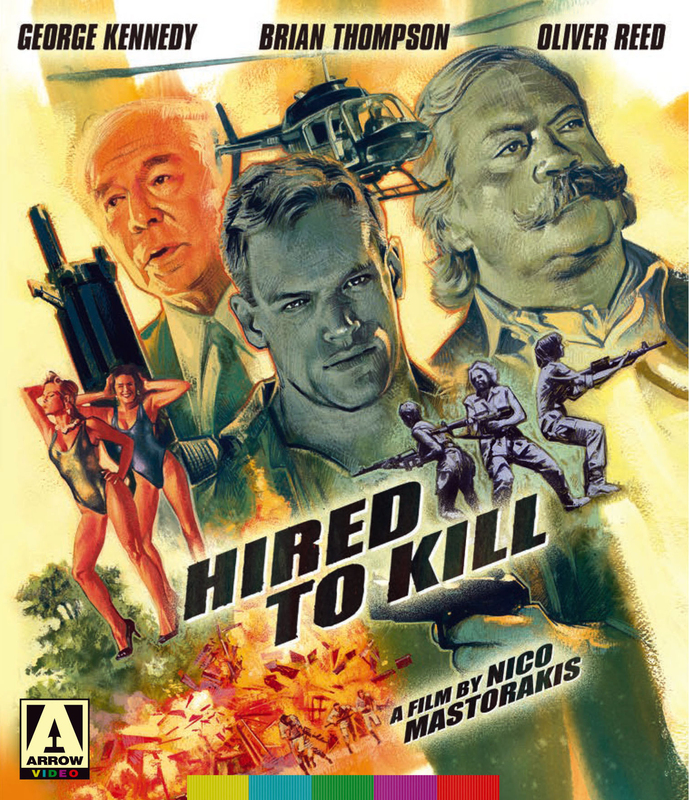 Nico Mastorakis’ and Peter Rader’s 1990 film Hired to Kill (MSRP: $39.95, May 17) was and is a total hoot. Between the wild action scenes and the awesome cast that includes Oliver Reed, George Kennedy, and Brian Thompson, this mid-budget “B” features Thompson as a merc posing as a fashion designer sent in to bump off an evil dictator type with the help of seven female assassins (posing as models of course!). Yep, it’s as silly as it sounds and double yep, Mastorakis makes it work well in his inimitable style. Bullets, bombs and bikinis all blazing in a 1990’s manner? Sign me up! 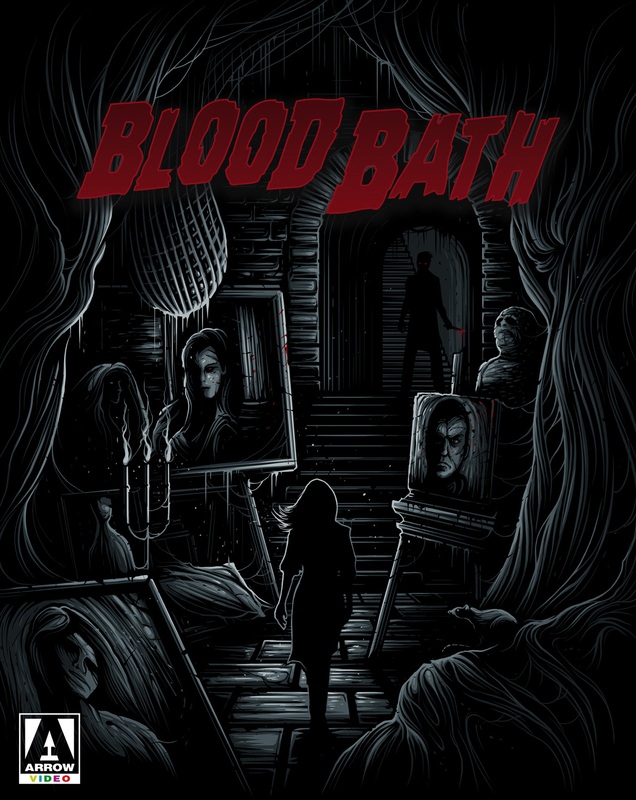 Finally, 1965’s Blood Bath (MSRP: $49.95) comes to Blu-Ray/DVD in a package that brings all four versions of the film to disc along with plenty of extras. The history of this oldie is pretty wild, but you’ll have to watch the bonuses on the disc to grasp what happened when famed producer/director Roger Corman got involved with a to-be-shot Yugoslavian film called Operation Titian. Things didn’t quite work as he wanted and the film ended up being handed over to different directors who each came up with their own cuts destined for American audiences in theaters and later on TV. It’s been years since this one has been seen so yours truly is grinning inside at the prospects of every version with a few friends new to the flick. This may seem a slim selection to some. But to those collectors and fans of Arrow’s steady library of winners, it’s more additions to a growing library of excellent genre flicks. This entry was posted in 2016, Commentary, DAF, Features, Humor, Updates and tagged Arrow Video, Blood Bath, Blu-Ray/DVD, BUY THESE FILMS!, Coming Soon, Gifts, Hired to Kill, Holiday Gift Guide 2016, Horror, Imports, Killer Dames: Two Gothic Chillers By Emilio P. Miraglia, Mature, May, Movies, MVD Entertainment Group, Not For The Kiddies!, Operation Titian, Portrait in Terror, The Night Evelyn Came Out of the Grave, The Red Queen Kills Seven TImes, Track of the Vampire, Violence Is A Very Horrible Thing by geelw. Bookmark the permalink.